Kandis Residence is the dream home you always desired. Located by Jalan Kandis, this advanced housing is developed by reputed developers, Tuan Sing Holdings Limited. It covers an area of 75, 838 square feet over which 1 block of 3-storey residential apartments and 3 blocks of 7-storey residential apartments will be constructed over time. With a unit mix of 1 bedroom suite to 3 bedrooms with study, the housing site will come up with 130 residential units collectively. Besides being built with the latest architectural techniques, Kandis Residence will also offer tranquil and naturally living spaces to its residents. The amenities that the residents can enjoy at Kandis Residency include a 33m lap pool, reflecting pool, floating palm deck, courtyard water garden, clubhouse with gymnasium etc. Good workouts options with families in the nearby Sembawang Park and Simpang Kiri Park Connector will be set for residents fond of outdoor recreational activities. The sea breezes from the Johor Straits make your morning walks and jogging session along Sembawang Park all the more pleasant and nurturing. Why must you buy an apartment in Kandis Residence? For your dream to have a house of your own that offers comfort, safety, connectivity and quality of living, to you and your family, you must invest in Kandis Residence. Made with a well thought structural plan, Kandis Residency promises of state-of-the-art design and elegance. 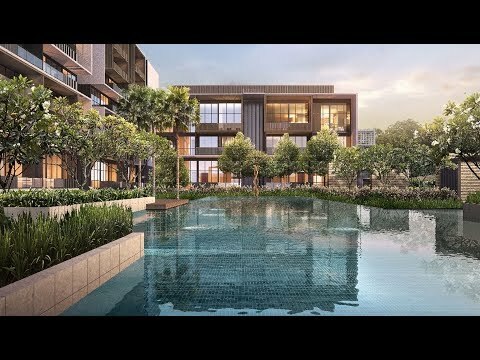 Minutes from both Sembawang MRT and future Canberra MRT station. Well-connected via main arterial roads like Sembawang Road and expressways like Seletar Expressway (SLE) and Bukit Timah Expressway (BKE). Kandis Residence not only offers you a chance to live leisurely in comfort but also opens door to a more connected and developed style of living. With great connectivity, Kandis Residence saves you time and efforts. Additionally, the upcoming projects nearby ensure that upon buying an apartment in Kandis Residence, you not only invest in a home but in an opportunity to explore exquisite and redefined style of living.